EaseCentral is an online HR software that centralizes onboarding, employee benefits, and payroll management. Its features include PTO tracking, compliance, reports, and more. In this article, we covered user reviews and pricing. Ready to get started with EaseCentral? Request a demo. Users who gave EaseCentral a positive review said that it has a simple and straightforward interface that allows them to easily accomplish payroll and benefits administration tasks. They also commended the system’s customizability and the extensive third-party integrations. Its mobile app was also cited as helpful. One user who gave EaseCentral a positive review on G2 Crowd said that it enables him to easily integrate with third-party apps for payroll processes. He also mentioned that its mobile app helps him to fulfill HR tasks even when on-the-go. Users who gave EaseCentral a negative review complained about experiencing bugs and glitches when pooling data for reports. Some of them also wished for a clearer onboarding process. One user who gave EaseCentral a negative review on G2 Crowd reported that its current functions for generating reports don’t perform seamlessly. He said that some areas of the screen freeze while he is navigating through them. EaseCentral offers three subscription plans: Pro ($349/month, billed annually), Agency ($649/month), and Enterprise ($1,199/month). The main differences between the plans are the number of employees and agencies that can access an account, as well as the availability of premium features such as online open enrollment, benefits administration, enhanced branding, and client management reports. *The Pro plan is paid in full at the start of the annual billing cycle. Ready to get started with EaseCentral? Request a demo. Can EaseCentral help users comply with government-mandated healthcare regulations? Yes. EaseCentral ensures that the Affordable Care Act coverage is implemented according to the minimum guidelines. The Affordable Care Act is a law that expands the US government’s free health insurance plan and subsidies for citizens who are in need of assistance. How does EaseCentral help users administer employee benefits? EaseCentral enables users to manage employee benefits enrollment online using a small group enrollment scheme. It also allows them to use a rule-based system to ensure that all necessary information will be filled out in benefit request forms for more efficient administration and tracking. Not sure if EaseCentral is the right fit for you? Read our reviews of all top HR software. They are always evolving and improving. The platform is already best-in-class and allows my clients with less than 100 employees to get the ben-admin feel of a Fortune 500 company. They are always adding new integrations and it is comforting to know that they aren’t complacent. I wish that the payroll platforms were easier and more cohesive with their integrations. Really, that is my only complaint at this point. This makes it sound like it is something that would have served as a warning, but I don’t have anything like that. I wish I would have known about all of the available training beforehand, so that I could have better utilized it. 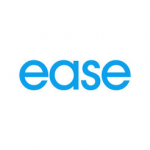 If you’re reading this before buying Ease then consider this your notice – they have lots of available training and you should use the heck out of it. They have great support and their platform is easy to use for both the administrator as well as the employee user. They do a great job of making ongoing changes and upgrades. They offer a lot of add on options now in the Marketplace and it’s difficult to keep them all straight. The base platform is still easy to use but the Marketplace is much more complex now than when we first started to two years ago. Nothing…I’m 100% satisfied and am sooooooo glad I am partnered with EaseCentral. Capture the right data for forms and enrollment census. One on One training with our clients. Some clients prefer one on one vs. attending a webinar. What's the Best HR Software?